The beauty and allure of hardwood floors is undeniable. 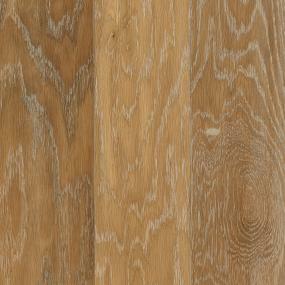 In tandem, the return on investment for quality hardwood flooring is without rival. Before you find yourself falling in love with a particular wood floor, talk with a ProSource Wholesale® showroom. Their staff will help you look beyond surface beauty to determine the best overall selection for your home. So, along with the Janka rating, it is good to know how easy or difficult it is to install a certain hardwood. Your ProSource showroom will be able to help you better understand what the Janka rating means in relation to the hardwood species you are considering, and set expectations in terms of installation. If you and your family like to walk around barefoot at home; if you plan to incorporate it into your kitchen design; if you and/or your kids like to spend time sitting on the floor, than comfort will matter when considering your wood flooring choice. Regardless of which species you select, be advised that all hardwood flooring requires some level of care and maintenance. They should be cleaned and periodically conditioned, according to manufacturer guidelines. While all hardwood is susceptible to dents and scratches, it’s a matter of degree (and taste, as you may prefer to have your wood floor develop character over time). Your showroom will be happy to work with you to determine which options will best suit your particular needs. As with any wood surface, flooring will expand and contract over time, in reaction to weather patterns. Plus, some woods are better suited for dry climates while others do well in locations where dampness prevails. Having a clear understanding of your particular climate demands will protect the beauty and longevity of your flooring selection. Since the 1990s, home buyers have demonstrated a strong preference for wood flooring. It adds a richness with clean lines to which they are drawn. It doesn’t trap allergens the way carpeting does. Wood floors are softer than tile; therefore, easier to stand on for long periods of time. Generally, there is minimal upkeep to wood floors and they last a lifetime, if not much longer. 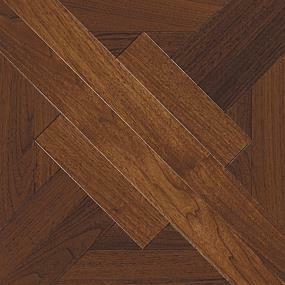 There is immediate perceived value with wood flooring. Homes with wood floors sell faster. Depending upon where you live, the size and price range of your home, you can achieve between a 50 to 85 percent return on your wood flooring investment. Use this information to achieve your goal of purchasing the best hardwood flooring for your home, making it more beautiful and functional than you dreamed.